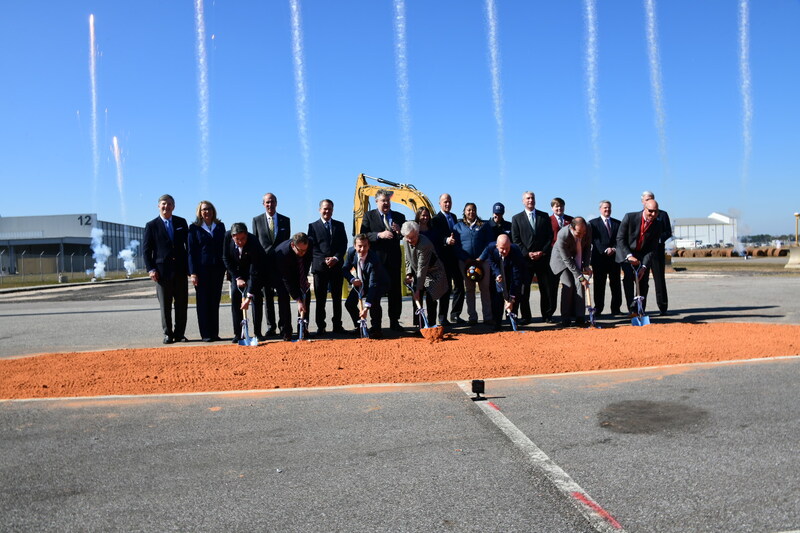 Airbus Breaks Ground on A220 Plant in U.S.
Airbus broke ground on a new assembly line for its A220 narrowbody in Mobile, Alabama, on Wednesday, giving the company a still stronger foothold in the U.S. even as forces of protectionism and nationalism threaten to disrupt free trade. The Airbus boss and Guillaume Faury, president of Airbus Commercial Aircraft, led the celebration and welcomed some 700 attendees including Airbus and other industry executives, Airbus manufacturing employees, state and national dignitaries, and local community leaders. Airbus has begun building the new assembly line, the company’s second U.S.-based commercial aircraft production facility, at the Mobile Aeroplex at Brookley adjacent to the A320 family production line. The company plans to start aircraft production in the third quarter of this year, then deliver the first Mobile-assembled A220 in mid-2020. It expects to finish construction of the new plant by next year. Over the last three years, Airbus has spent $48 billion with hundreds of U.S. suppliers in more than 40 states, a level of support that the company says has translated into more than 275,000 American jobs. Airbus facilities in the U.S. include engineering centers in Kansas and Alabama; a major training facility in Florida and soon one in Colorado; materials support and headquarters in Virginia; a think tank (A3) in California; a drone data analysis business (Airbus Aerial) in Atlanta, Georgia; helicopter manufacturing and assembly facilities in Texas and Mississippi; and a satellite manufacturing facility (OneWeb) in Florida.